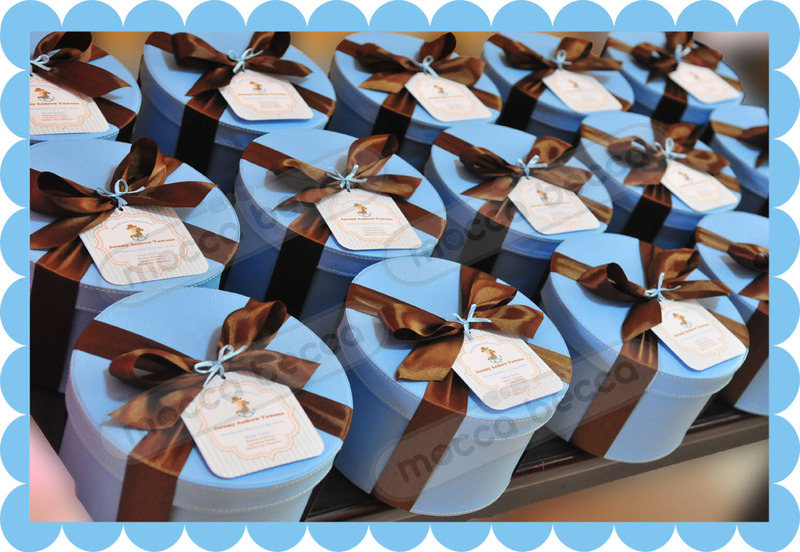 ~ We are eager to sweeten your special moment by providing customized HAMPERS. Jeremy Andrew’s one month hampers. Ordered by mommy Fenny, with request in horse theme. 1 rounded leather box + 1 sport towel embroidery + 1 printed mug + 1 tin can choco chip cookies.